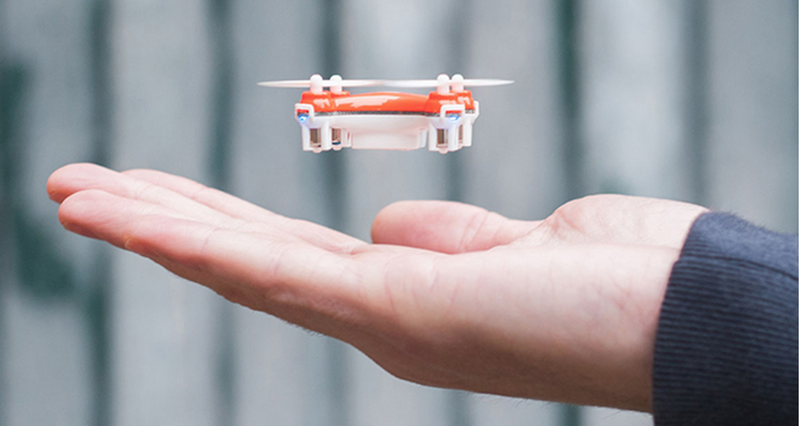 The SKEYE Nano Drone is perfect for pocket-sized fun anytime, anywhere! This tiny flying machine is easy to control and perform stunts with, for a barrel of fun that you can take with you wherever you go. Last month this deal sold out within a matter of days, but now it’s back and available for US and international shipping! The SKEYE Nano Drone features a six-axis flight control system with three modes, for everyone from beginners to advanced pilots to experts, so you can execute simple maneuvers right out of the box and master complex ones like figure-of-eights and 360-flips as you go along. For airborne R/C action indoors and out, the SKEYE Nano Drone is just the thing. And we’ve got a special deal on this quadrocopter here at TNW Deals – get it now for just $34.99 with free shipping worldwide! Read next: Is this the end for apps?